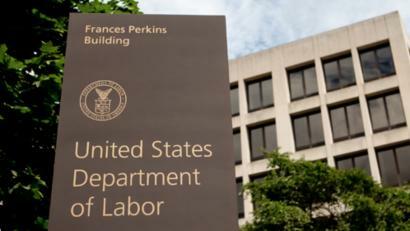 The Department of Labor fiduciary rule does not exist anymore after a late-Thursday court ruling. That court decision opens the door for the Securities and Exchange Commission and state insurance departments to take over rulemaking. The Fifth Circuit Court of Appeals’ 2-1 decision stunned the industry and has many asking the same question this morning: What now? Originally Posted at InsuranceNewsNet on March 16, 2018 by John Hilton. 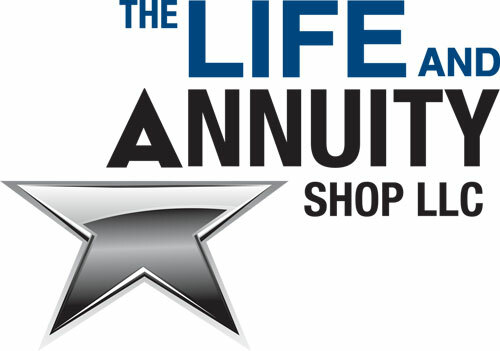 https://www.annuity1.com/wp-content/uploads/2017/06/capital-2.jpg 442 1600 Neal LaPierre https://www.annuity1.com/wp-content/uploads/2018/03/the-life-and-annuity-shop.jpg Neal LaPierre2018-03-21 15:01:372018-03-21 15:01:37What’s Next for the DOL Fiduciary Rule? Citing the Administrative Procedure Act, the law that governs federal agency rule making, and Black’s Law Dictionary, attorneys for the firm said the ruling has the effect of the removing the fiduciary rule from the books. Click HERE to read the original story via ThinkAdvisor. 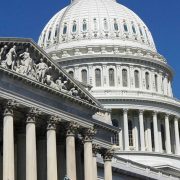 “Under the APA, ‘vacatur’ is a remedy by which courts ‘set aside agency action’ that is arbitrary and capricious or otherwise outside of the agency’s statutory authority,” wrote attorneys for Gibson Dunn, including Eugene Scalia, in a client update. The consequence of the 5th Circuit’s decision is to delete the fiduciary rule. “Because the effect of vacatur is, in essence, to remove a regulation from the books, its effect is nationwide,” wrote Mr. Scalia and a team of Gibson Dunn attorneys. Since the decision was released last week, some attorneys in press reports have speculated that the fiduciary rule is still in effect. Other reports have suggested the decision may only impact investment and insurance providers and distributions within states under the 5thCircuit’s jurisdiction. But the impact of the decision is not as ambiguous as some reports claim, according to Gibson Dunn. By May 7, when the 5th Circuit is scheduled to issue a final order under the Federal Rules of Appellate Procedure, the fiduciary rule will effectively be erased from the Federal Register, “without geographical limitation,” the attorneys say. Gibson Dunn’s client update also sets out to clarify the existence of a so-called circuit split over the fiduciary rule. Days before the 5th Circuit released its ruling, the 10th Circuit Court of Appeals issued a more narrow ruling upholding the fiduciary rule’s treatment of fixed indexed annuities. But the 10th Circuit decision did not address the larger question of the Labor Department’s authority to write the fiduciary rule as it did. “Because the 5th Circuit vacated the rule on grounds the 10th Circuit did not address, no ‘circuit conflict’ is presented by the two decisions,” say the Gibson Dunn team. The question of whether a circuit conflict, or split, exists has ramifications on a potential Supreme Court review of the fiduciary rule case. The odds of a Supreme Court review of any case are “always very low,” said Mr. Mendro, who was part of the litigation team that appealed to the 5th Circuit. According to the Supreme Court’s website, up to 8,000 petitions for review are requested each term. The High Court typically grants full review in about 1 percent of cases. “The absence of a circuit split further reduces the likelihood of such review,” added Mr. Mendro. Last November, oral arguments before the D.C. Circuit Court of Appeals were delayed in a case brought by the National Association for Fixed Annuities. NAFA was granted a delay of its hearing until after the 5th Circuit issued its decision. The original hearing in the D.C. Circuit had been scheduled for December 8, 2017. Now that the 5th Circuit has vacated the fiduciary rule in its entirety, NAFA can be expected to drop its appeal, removing the potential for a split with the D.C. Circuit. Originally Posted at ThinkAdvisor on March 19, 2018 by Nick Thornton. The U.S. Court of Appeals for the 5th Circuit voted 2-1 Thursday to vacate the Labor Department’s fiduciary rule. The nine plaintiffs in the 5th Circuit case included the U.S. Chamber of Commerce, the Securities Industry and Financial Markets Association and the Financial Services Institute. The ruling comes one day after Labor won a case in federal court brought against its fiduciary rule by Market Synergy Group, an insurance distributor. The appeals court struck down the entirety of the fiduciary rule. Labor’s next move is to decide whether to ask the full appeals court to rehear the dispute, or take the case to the U.S. Supreme Court. The U.S. Court of Appeals for the D.C. Circuit still has an active case. That court will not be bound by how the 5th Circuit ruled. The court wrote in the ruling that President Donald Trump has directed Labor “to re-examine the Fiduciary Rule and prepare an updated economic and legal analysis” of its provisions, noting that the effective date of some provisions has been extended to July 1, 2019. Labor’s rule also “contradicts the text of the ‘investment advice fiduciary’ provision and contemporary understandings of its language,” the ruling states. — Mike Scarcella contributed reporting. Originally Posted at ThinkAdvisor on March 15, 2018 by Melanie Waddell.